Chiropractic is a healing science that focuses on the health ofour spine and nervous system. Doctors of chiropractic are like structural engineers who analyze the body for alignment, motion and strength while taking corrective measures through adjustments to make the body function normally and be as healthy as possible. Chiropractic is often seen as a back pain profession, but really it is a science that concerns itself with the relationship between the spine and the nervous system and how that relationship affects the health ofthe entire body. Misalignments of spinal vertebra may disturb the healthy functioning of the nervous system. Since.every organ, gland, and cell in your body is controlled by your nervous system, misalignments can lead to a variety of health problems and pain syndromes. The goal of Chiropractic is to restore normal function to the body by correcting the cause of the problem and not just treating the effects or covering up symptoms. Chiropractic is the science of correcting the spine and extremities through the use of a therapeutic adjustment that restores normal alignment and motion to joints that have been affected by trauma or wear and tear. When spinal vertebra are misaligntd, the nerves are affected having a significant effect on health. Neurology affects biology, and biology affects health. Chiropractic corrects the neurology so that biology can do its job. Chiropractic is founded on the principle of correcting cause instead of treating effect. If you have a bone in your neck out that is causing headaches, there is no amount of aspirin in the world that will correct that neck misalignment. There is no amount of massage that will re-align a vertebra. When the spine is well adjusted – normal alignment, and normal motion – then the body is able to heal by natural course… no drugs, no surgery. Chiropractic was founded in 1895 by Daniel David (D.D.) Palmer in Davenport, Iowa. Palmer hypothesized that manual manipulation of the spine could cure disease. The first chiropractic patient of D.D. Palmer was Harvey Lillard, a janitor in Palmer's building. While Lillard was working without his shirt on in Palmers office, Lillard bent over to empty the trash can. Palmer noticed that Lillard had a vertebra out of position. He asked Lillard what happened, and Lillard replied, "I moved the wrong way, and I heard a 'pop' in my back, and that's when I lost my hearing." Palmer, who was also involved in many other natural healing philosophies, had Lillard lie face down on the floor and proceeded with the adjustment. A few days following his adjustment, Lillard claimed his hearing was almost completely restored. 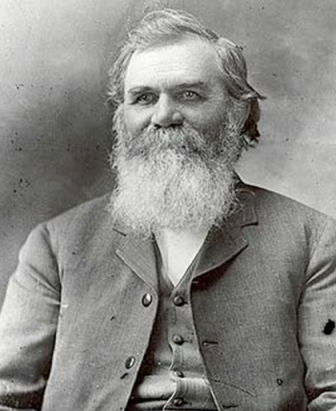 In 1898 Palmer began teaching chiropractic to students at his new Palmer School of Chiropractic. 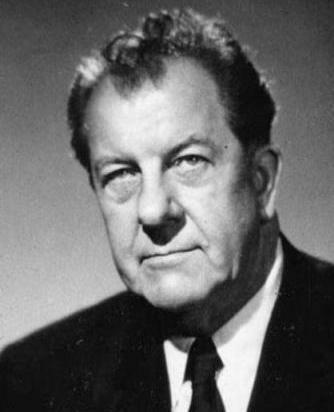 The Gonstead Technique was originated by Clarence Selmer Gonstead (1898-1978). Dr. Gonstead encountered chiropractic care when severe leg and foot pains, which were resistant to conventional medical care, responded to chiropractic adjustments. Dr. Gonstead's experience prompted him to seek a chiropractic education. After graduating from the Palmer School of Chiropractic, he temporarily expanced a practice in Mount Horeb, Wisconsin in 1923. Adhering to the definition of true chiropractic as defined by D. D. Palmer, Dr. Gonstead found there was no substitute or better method for analyzing or correcting spinal misalignments than with a skilled pair of chiropractic hands. Over the years, Dr. Gonstead developed the Gonstead technique which has been taught to thousands of students and doctors of chiropractic and also established the world famous Gonstead Clinic of Chiropractic in Mount Horeb. The focus of the Gonstead adjustment is to be as specific, precise and accurate as possible, addressing only the problem areas (areas of subluxation). Great care is taken to ensure a bio-mechanically correct position and precise thrust to provide the most accurate and painless adjustment possible. It is the goal of your Gonstead doctor to restore and maintain optimal health by locating and correcting any interference to the nervous system caused by vertebral subluxation.